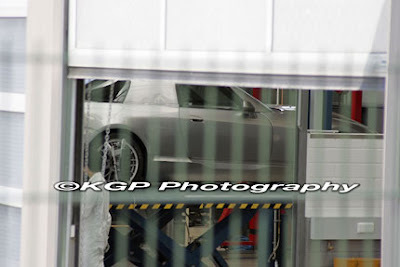 AboutAcura: [Rumor] 2009 (or 2010) Acura NSX Spy photos? 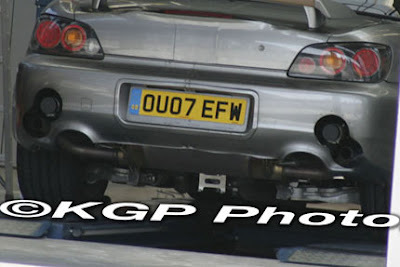 I read this off Autoblog, which links to Straightline for the photos. I don't know what Straightline is thinking, but the Acura Advanced Sports Car Concept (ASCC) was not designed in Japan. 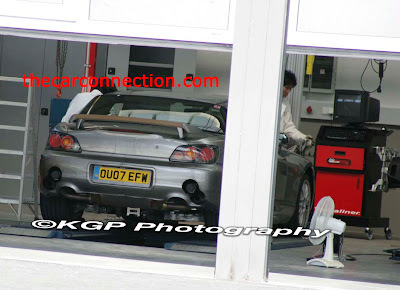 From my understanding, it was something that came out of Acura's design center in the United States. 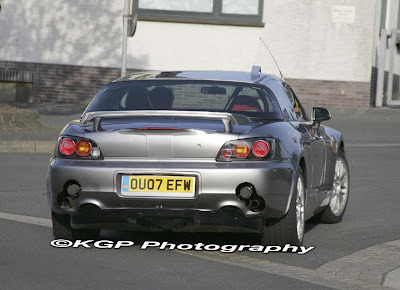 I remember reading how the top people at Honda in Japan don't like the new ASCC design and want something else. 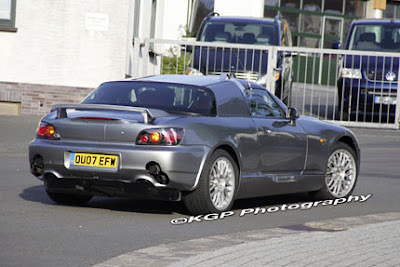 Anyway, Straightline is reporting that this heavily modded Honda S2000 with 4 tailpipes was found in Nurburgring, German is a signal that Honda/Acura hasn't stopped working on the next generation NSX. 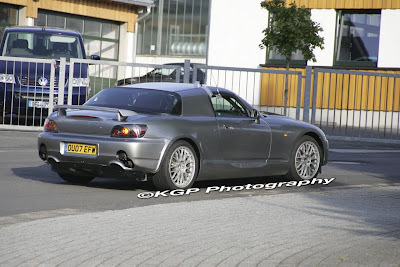 There's speculation that Honda is using this mutated S2000 for drivetrain and chassis development. Don't look at me, I'm just reporting what I read.